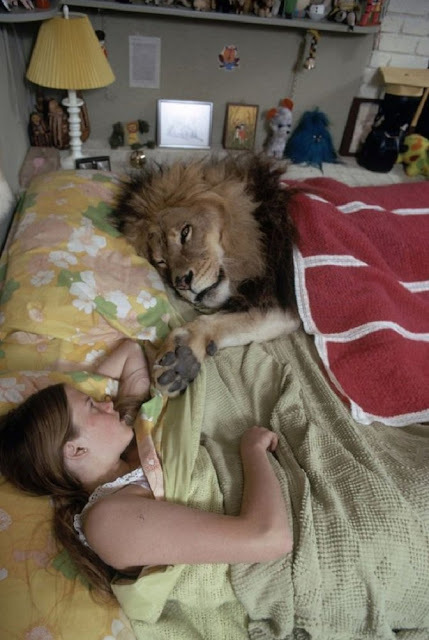 Home » Animals » Story » She lived under the same roof with a lion. But it wasn’t as great as it seems on the photos. 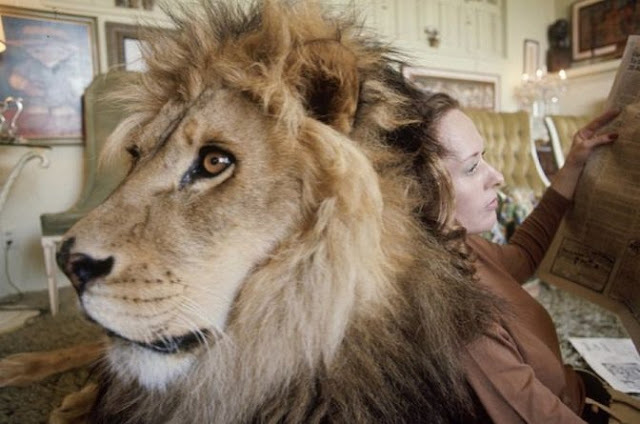 She lived under the same roof with a lion. But it wasn’t as great as it seems on the photos. It happened in the 70’s. 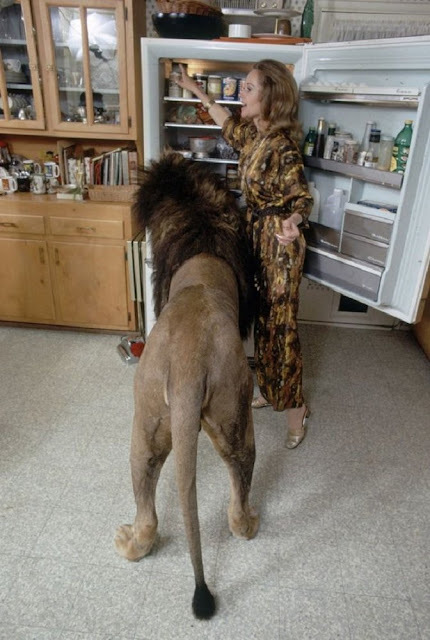 The famous actress Melanie Griffith was forced to live in a house full of big savage animals, including a lion called Neil. She was 19 at the time. All of that happened because of her parents. 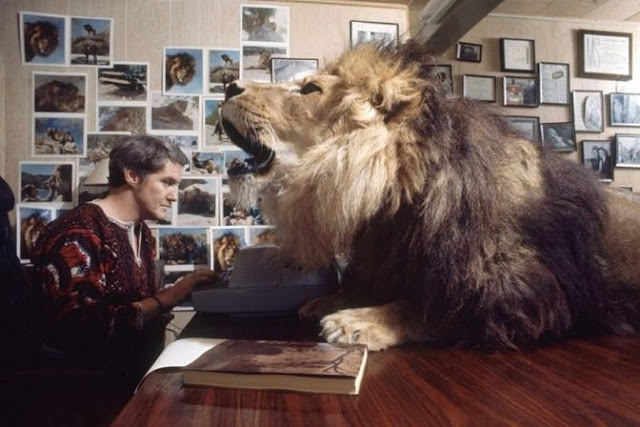 The actress Tippi Hedren and Melanie’s stepfather wanted to film a movie featuring big cats. 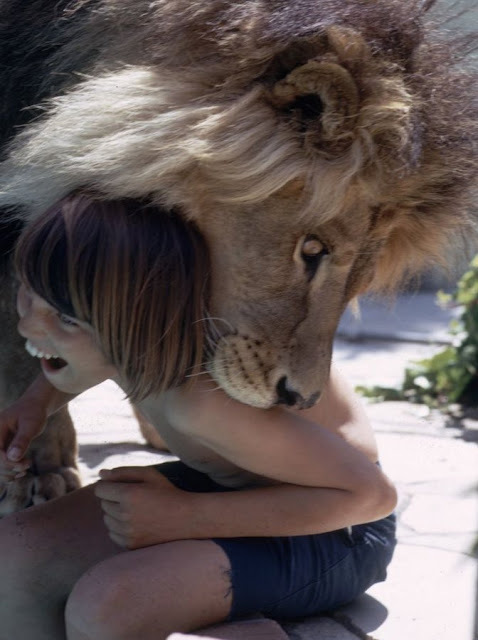 To understand them better, the animal trainer suggested that the family lived with the animals. 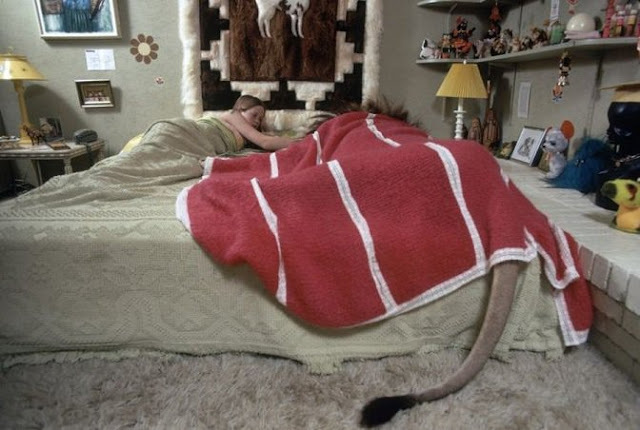 These pics show us how a man can survive under the same roof with a dangerous predator. At first sight it seems like they were pretty happy together, but it wasn’t entirely true. During the shooting of the movie one of the lionesses attacked Melanie. Doctors put 50 stiches on her face, and one of the camera men needed a surgery because of a severe lesion. 70 people in total got hurt during the shooting of the movie “Roar”. 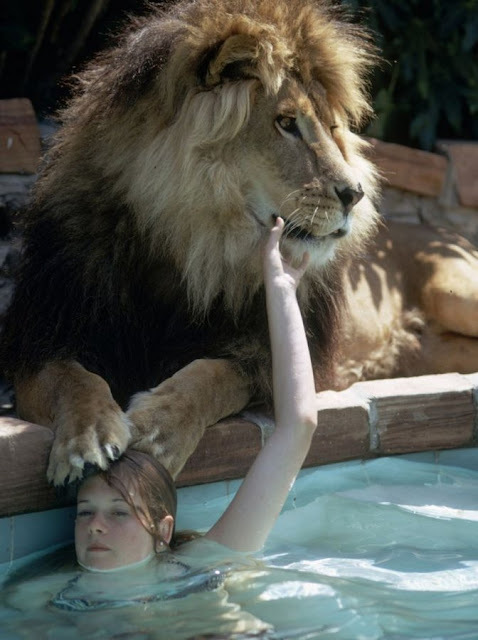 Melanie is playing with a lion in a pool, California. Neil is playing with a boy. 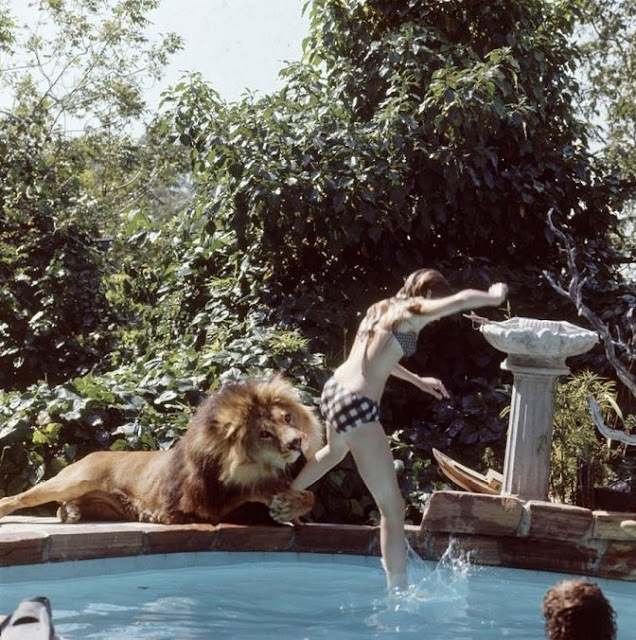 The lion bites Melanie's leg while she is jumping into the pool. Melanie's mother is playing with Neil. Neil is lying in bed with Melanie. These friends slept in the same bed. Sometimes they used Neil as a cushion, and he was OK with it. Neil is revising the fridge. Noel is trying to work, but Neil wants to play. 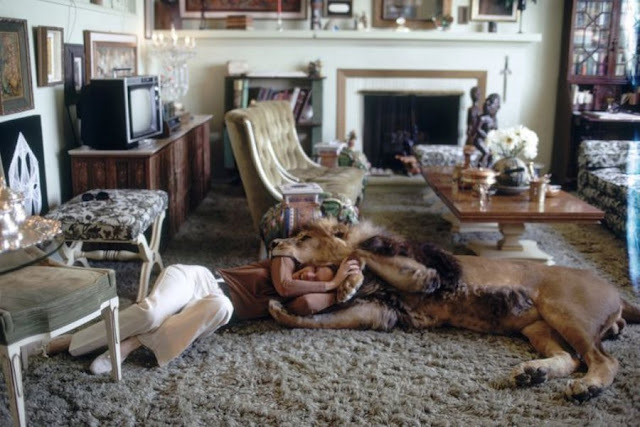 The outstanding experience of coexisting with a lion pushed Tippi Henden to establish a fund named "The Roar Foundation", that dedicated to educating people about the dangers of having a wild animal as a pet. Share this amazing story with your friends!